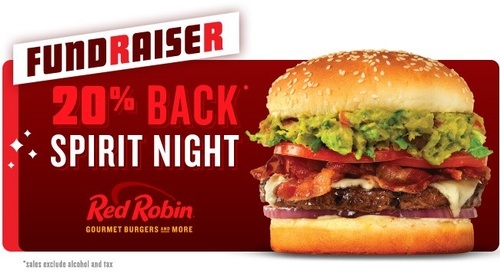 Come out and join us at Red Robin in Pickerington to support the Pickerington-Violet Township Historical Society Spirit Night! 20% of our fundraising sales will go back to the Pickerington-Violet Township Historical Society. Bring your family, friends, neighbors, co-workers, plan a girls night out or pick up and take it home to enjoy! Help us raise money for this great organiztion! We hope to see you there! Please remember to show this flyer on your phone or mention our fundraiser to your serrver; this way our sales get applied to the fundraiser.